As any gourmand will tell you, a gastronomic experience is hardly ever just about the food. As much as it is an affair of the palate, a truly enjoyable meal is made up of a whole slew of other factors that make it a rewarding and satisfactory experience involving all of the basic senses. Alongside the ambiance set off by the choice of music and the mood lighting and the strategic table placement, restaurant table setting perhaps ranks as one of the most important elements in a good dining experience. Simply put, the table setting frames the food. 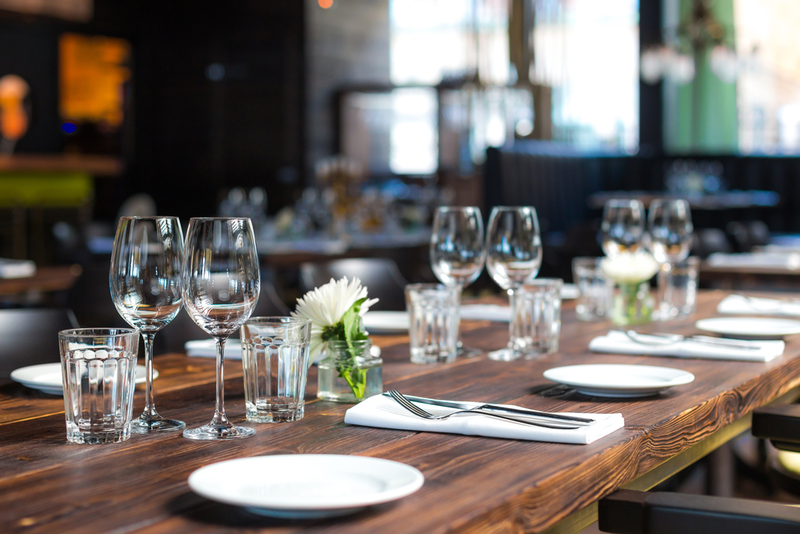 More than just propriety in the placement of cutlery, table setting is an all-important art that allows restaurateurs and servers to create the right scenery to highlight a restaurant’s food. Form always follows function. A restaurant table is a tabula rasa – a blank canvas with which one can experiment and be creative. While this can be rather tempting, do remember that proper table setting is always a form over function concept. Do not put anything on the table that does not serve a purpose or divert the diner away from eating. Just because you can does not mean you should. It is easy and tempting to jump on the bandwagon and create a buzz in your community with non-traditional table setting choices. These *choices* can span from the unique and trailblazing to the outrageous and downright faux pas – and it is your job to distinguish the line that separates them. Meals are multisensory. Explore different ways to engage the other senses with your table setting: textures, patterns, smells, etc. Find the right balance of these sensory elements to your table setting in a way that it is neither too subtle to be neglected nor too overwhelming as to ruin the flavors. A little goes a long way when done right. A seasonal accent here or there or a tasteful centerpiece in the midst of a monochromatic tableau is all you need to take your diners’ breaths away. You do not need to crowd or overexert lest you risk outshining the star of the dining table: the food. When you’ve got the elements, the décor, and the ambience down, add the right table linens for good measure! Linens are not only a classic option for sprucing up any table – they’re also your most cost-efficient choice for makeovers that are as quick as they are easy. For high-quality linens without the inconvenience, choose Republic Master Chefs! Our range of high-quality linens is not only maintained according to the highest industry standards but is also delivered on-time every time. Republic Master Chefs gives you the best options for the best prices and will help you achieve the perfect restaurant table setting for your food service business. Contact us today at 800-640-2433 to get started! Why Restaurant Staff Should Have Uniforms What is Fine Dining?